The WOW factor has definitely struck here. Crown of Riches is 7/8 Funquest and most certainly has the Funquest look. 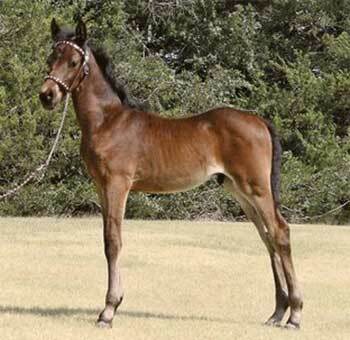 This up-headed, very typy dark bay stud colt carries himself with pride. 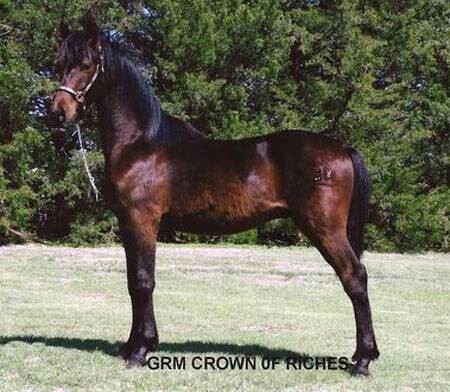 He loves attention and will be sure to get you noticed in the show ring. Without a doubt, Crown of Riches would make an excellent stallion prospect and will mature in the 15.1 hand range. Being nearly pure Funquest, he would be an attribute to the Funquest legacy, which we are trying to preserve here at Grunden Ranch Morgans. This fellow was imprinted at birth, haltered the day he was born, bathed, hauled, and is current of all shots and worming.